Although the exact origin of Rottweiler dogs is unknown, most experts believe the breed to be a descendant of the Italian Mastiff, a breed used as a guard, herder, draught, messenger, and law enforcement dog. The actual Rottweiler breed was developed in Rottweiler, Germany, thus the name, but by the 19th century, the breed was virtually extinct. Due to ongoing demand, breeders revitalized the Rottweiler in the 20th century. Today, not only is this type of dog extremely popular but special clubs have been established throughout the world. In addition to being used to guard and protect, track, herd, and assist with todays law enforcement efforts, Rottweiler dogs are also excellent for working in search and rescue, tracking, carting, obedience competitions, and schutzhund, which is a sport in Germany used for evaluating a dogs ability to conduct police work. There are actually two types of Rottweiler breeds to include American and German. Experts state the American variety is taller, leggier, and has a blockier type head while the German variety is shorter, stocker, and boasts a larger size head. While there might be slight variations in appearance, all Rottweiler dogs are large, powerful, and muscular with a distinct broad head. The only real difference is that the American variety is bred in the United States while the German variety is bred in Germany. This dog breed has several distinct features to include well-developed muzzle, black lips, dark, almond-sized eyes, and triangular shaped ears. Usually, the back declaws are removed and the tail docked. Additionally, while most dogs have deep brown eyes, some have blues eyes or one blue and one brown eye. While unique, anything other than two brown eyes would be considered a defect for showing and breeding purposes. Males typically stand 24 to 27 inches tall while females measure between 22 and 25 inches. Weight goes from 85 to 130 pounds on average with females being on the lower end. Rottweiler dogs have short, thick, hard, glossy coats. In most cases, the coat is black with markings on the cheeks, muzzle, legs, and paws of rust or mahogany. However, some Rottweiler dogs have brown markings, which are considered a defect due to the hair gene having a deficiency that alters the richness of marking color. This type of dog does shed although regular brushing would reduce the amount. Other than daily brushing, grooming would only consist of occasional baths. NOTE: All dogs accumulate dead hair even if they don't shed. Using a grooming tool such as the FurMinator is a good way to remove the dead hair that doesn't fall out on its own. Overall, the Rottweiler is considered healthy although the breed is susceptible to ACL damage. Additionally, health concerns specific to hip dysplasia and entropion, which is a narrowing of the eyelid slips, also exists. Other concerns include chronic snoring, which is more of an annoyance than anything else and obesity with age unless food is monitored. Most people immediately think of watch or guard dogs associated with this breed but along with being protective, Rottweilers are actually very sweet, loving, affectionate, and extremely devoted to the family. However, because of the size, strength, and determination of the breed, an owner should be confident, assertive, and firm while having the ability to remain calm. Additionally, it is very important to those interested in the breed, that they acquire their Rottweiler puppy from a breeder that is responsible and dedicated to perpetuating the most desirable traits of the Rottweiler. It would also be essential to provide training and socialization while still a puppy, which makes handling this breed easier. The nice thing about owning this breed of dog is the unique balance of gentleness and fierce loyalty. Because the Rottie is so protective of its owner and family members, the dog seems impervious to pain and will fight to the death to keep people it loves, safe. The breed is also highly intelligent and eager to please, which is why Rottweiler dogs are still commonly used by law enforcement, as well as search and rescue. Overall, the reliable temperament of the breed makes it an excellent consideration. Rottweiler dogs are in a working class, which means they require ongoing exercise, playtime, and even work. In fact, this breed not only enjoys physical challenge but actually thrives on it. Although the Rottie loves a long daily walk, it is also makes a perfect jogging partner but because of being so protective, this type of dog would be a great choice for people who like running off the beaten path. This dog also loves fetching and swimming. Because the Rottie needs consistent exercise for mental stimulation, promotion of good health, and as a means of preventing problems of obesity, the ideal setting would be one that has room for him to run and play outside. While he does well outdoors with proper shelter and water, the Rottweiler also does well indoors as long as long as regular exercise is provided. In fact, many Rottweilers do amazingly well living in an apartment setting. Sadly, the Rottweiler dog breed has been given a bad rap. Many people believe the breed to be aggressive with children, but nothing could be further from the truth. This dog breed is excellent with children of all ages to include babies. The key is to provide the dog obedience training and socialization while still young and to teach kids the appropriate way of treating dogs. With children, the Rottweilers docile and sweetness comes out. In addition to being great around kids, this breed also loves other pets when introduced while young. That being said, unforseen situations can occur even with the most reliable breeds and it is always the best policy to have an adult supervise interactions between children and pets. The only reason a Rottweiler would not be recommended for elderly or sedentary families has to do with exercise needs. However, if any of these persons were experienced dog owners and had someone confident to walk the dog, this would make a great companion and guard dog for people of any age. the Box below to Share or Tweet about it. The doggies thank you! 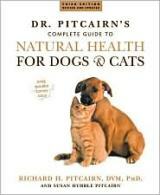 One Of The Best Dog Care Books! No Matter Where He Roams!